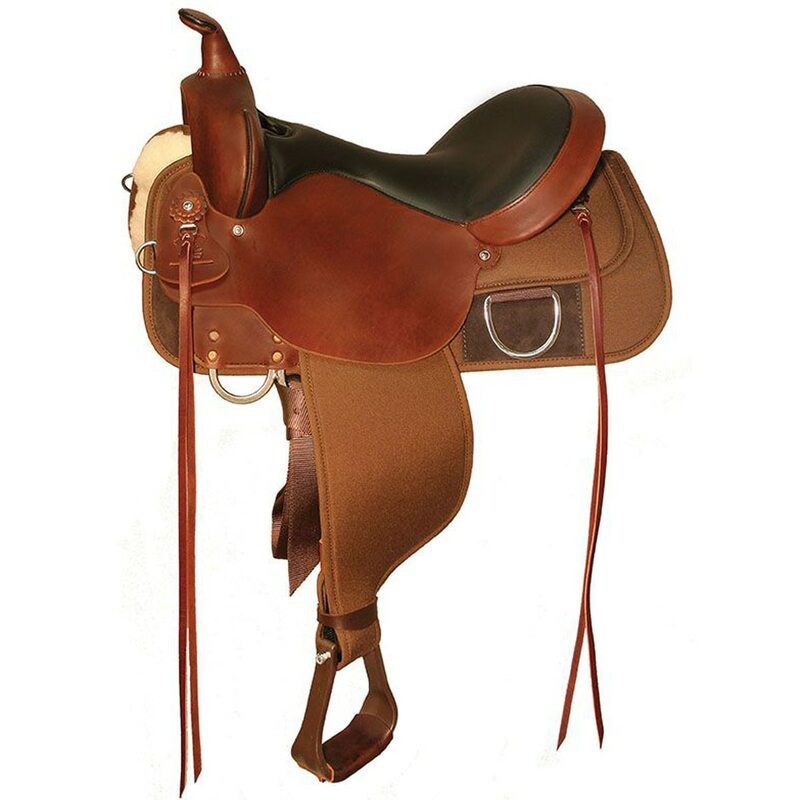 The Lockhart is a great quality saddle. It has a double padded seat that is comfortable on long rides with two sets of strings to tie your gear. It has Cordura® skirts and fenders for less weight. Adjustable position flat plate rigging. Double padded seat for all-day comfort with choice of suede or grainout seat. Stainless steel hardware. Saddle fit tip: generally we recommend a Regular fit for a horse with a defined wither and a Wide fit for a horse with a round, or mutton, wither. • Tobac or black leather swell and cantle smooth finish. Regular width tree in all seat sizes and wide in 15″, 16″, 17″. 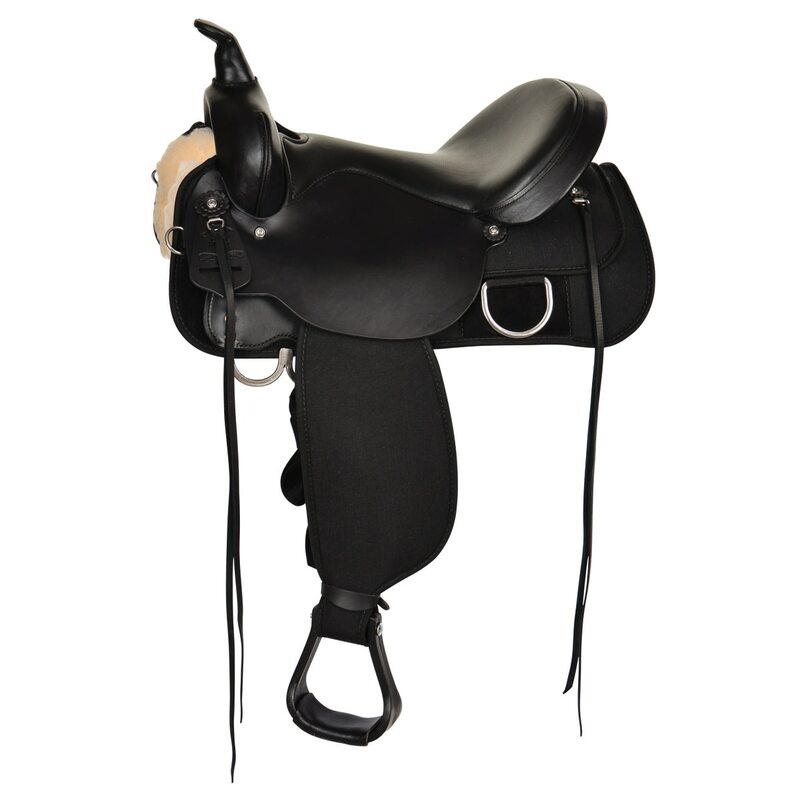 Cantle height 4″ in regular width tree, 5″ in wide tree.